8pm - A thunderstorm is ramping up. The radar image looks horrible, but I think the edge will just skirt our location. Should be a good night for listening to frog calls. A lucky capture of a juvenile Florida softshell turtle. Unidentified insect using its proboscis to extract juice from the stem of a plant. George inspecting a Florida softshell turtle skull. The low water level made for a challenging trip. 3:15pm - Just encountered a large group of kayakers. They were coming upstream then turned around. This means all turtle activity will be disturbed and the likelihood of us seeing turtles the rest of the day is slim. We have about three more hours until we reach our campsite. 2pm -Sucess! We caught our first Suwannee cooter. Examining a yearling Suwannee Cooter. 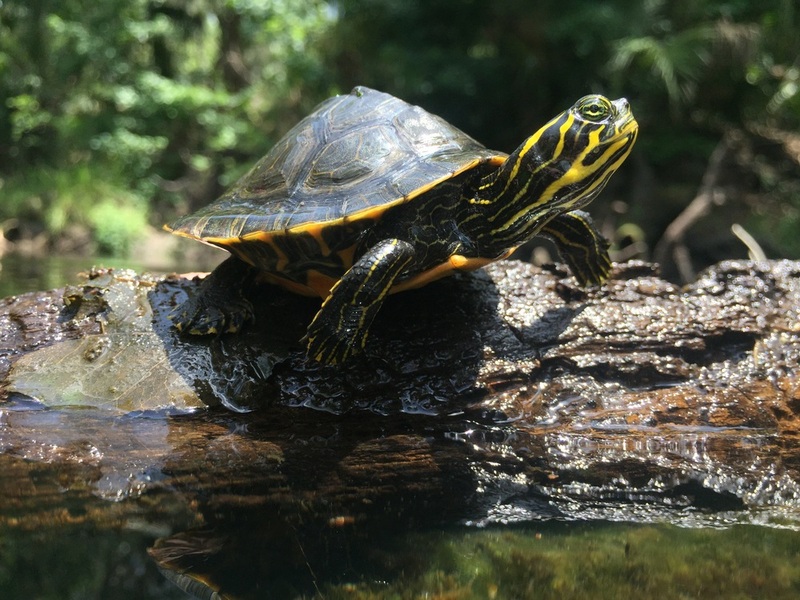 A beautiful juvenile Suwannee cooter. 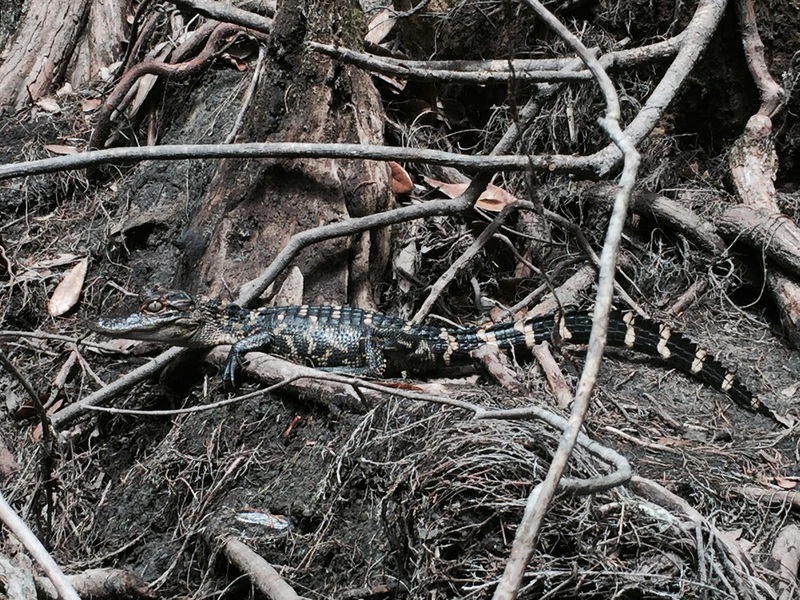 12pm - Sighted seven yearling alligators. A one year old American alligator. 11:30am - Found some beautiful flowering white lilies. Also found a well camouflaged male fishing spider. 11am - Saw our first Suwannee cooter. It was a sub-adult swimming in about three feet of water. We could not locate it after donning our snorkel gear. 9am - We begin our trip at Alderman's Ford Park, Hillsborough County. We have a short hike up the the convergence of the north and south prongs of the river. George and I at the beginning of the trip. As luck would have it, we came across our first specimen. I spotted a deceased Florida softshell turtle. This specimen will become a valuable research specimen for the Bruce Musuem natural history collection. Deceased and disartiulated Florida softshell turtle. Water levels on the river are low. This causes us to wade quite a bit which slows us down. Heavy rains last night added about an inch of water which will help. A small stream flows into the Alafia River from last night's rainstorm.